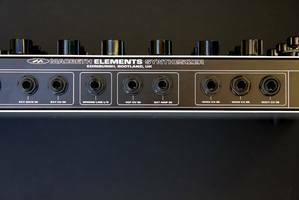 Elements, Analog Synth Rack/Sound Module from MacBeth Studio Systems. 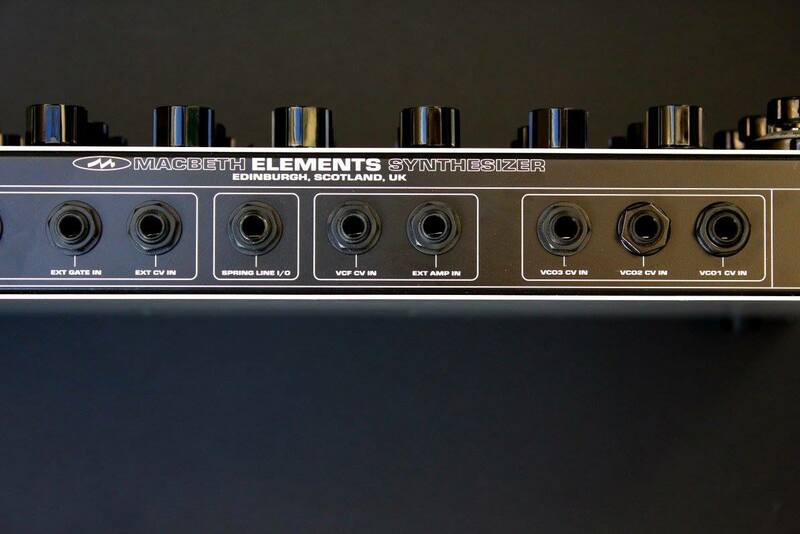 MacBeth Studio Systems opened at Analog Haven the pre-order for its new Elements synth, which should be available in June. 3 wide ranging voltage controlled oscillators and 1 vc low frequency oscillator/audio oscillator. VCO1: 5 waveforms: ramp, square, enhance, triangle, sine. Multi turn vernier dial tuning frequency: 1 hz ~ 20khz and beyond. Volume output direct to VCF. VCO2: 5 waveforms: ramp, square, enhance, triangle, sine. Multi turn vernier dial tuning frequency: 1 hz ~ 20khz and beyond. Volume output direct to VCF. Shared enhance rate between VCO1 and VCO2, variable from slow ~ fast. VCO3: 6 waveforms: ramp, square,triangle, sine, saw, s&h; multi turn vernier dial tuning frequency: 0.01 hz ~ 20khz and beyond. transpose switch: lo, -2, -1, 0, +1, +2. CV on/off switch. 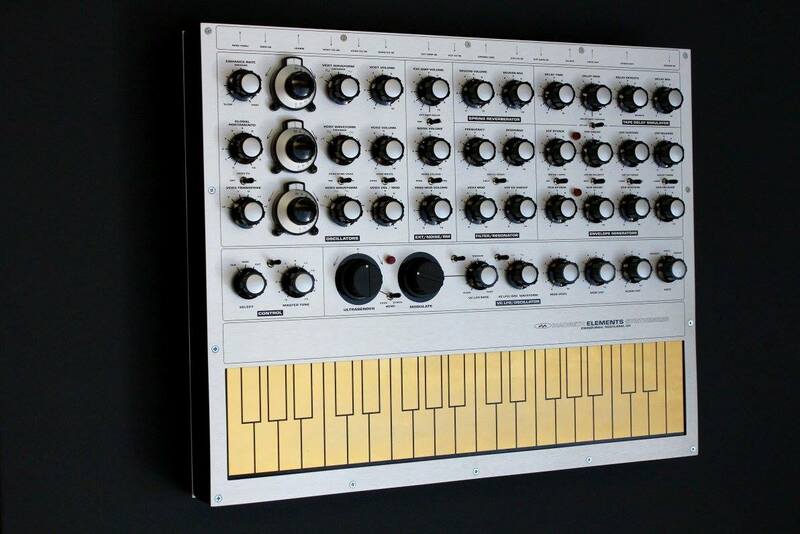 VCO3 hard synchronization to VCO2. 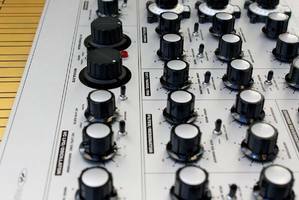 Volume output direct to VCF or cross modulate VCO2. Temperature compensated VC low frequency oscillator/oscillator (VCO4): 6 waveforms: ramp, square,triangle, sine, saw, s&h. frequency rate variable from slow ~ fast- approx: 0.01 hz ~ 20khz and beyond. cv on/off switch. fast ~ slow switch. 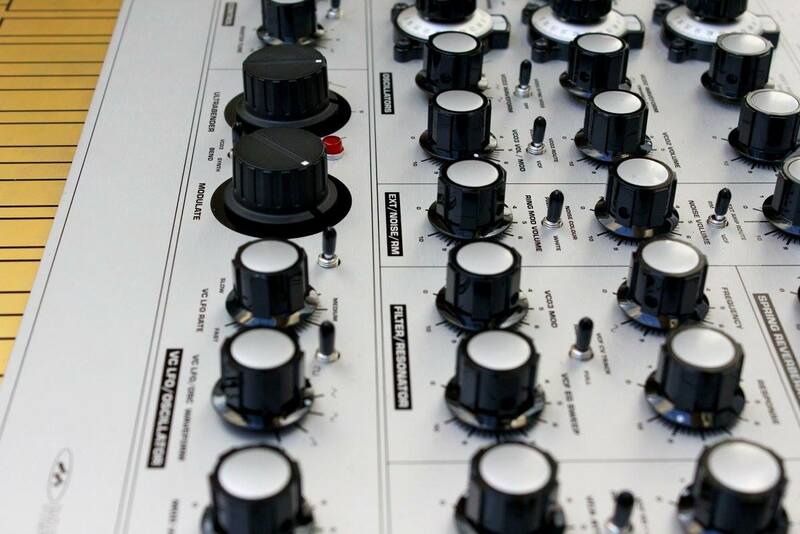 s&h selector switch: noise source or VCO3 source. mod VCO3 potentiometer, mod VCF potentiometer, audio to VCF potentiometer, large global modulation potentiometer. Noise generator: white noise, pink noise. volume output direct to VCF and S&H circuits. External audio input amplifier: volume output to VCF or ring modulator. 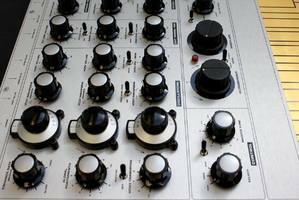 Ring modulator: mc1469 based double balanced modulator. inputs: VCO1 sine, VCO2 sine or external audio input amplifier. volume output direct to VCF. VCF envelope generator: full attack, decay, sustain, release with long ~ short timing switch. VCF eg polarity switch: positive or negative going slopes. VCF Envelope Generator > VCO3 sweep switch. VCA envelope generator: full attack, decay, sustain, release with long ~ short timing switch. 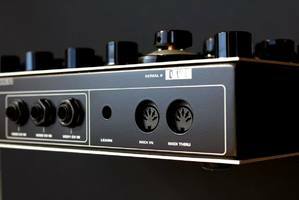 Tape delay simulator: input direct from VCA. delay time potentiometer, delay modulation potentiometer, delay modulation control switch: VC LFO ~ keyboard CV, delay repeats potentiometer, delay mix potentiometer. final output to spring reverberator circuit. Spring reverberator: external spring line tank connect via ¼" jack socket, standard tank supplied: compact Belton/Accutronics bmn3bb2c1 for wall/under desk mounting. other tanks/accessories can be used. 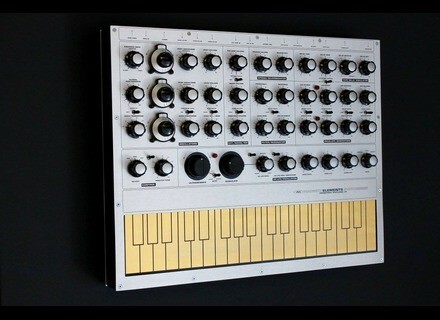 Keyboard: touch capacitive gold plated articulator allows 4 octave F ~ F chromatic span. 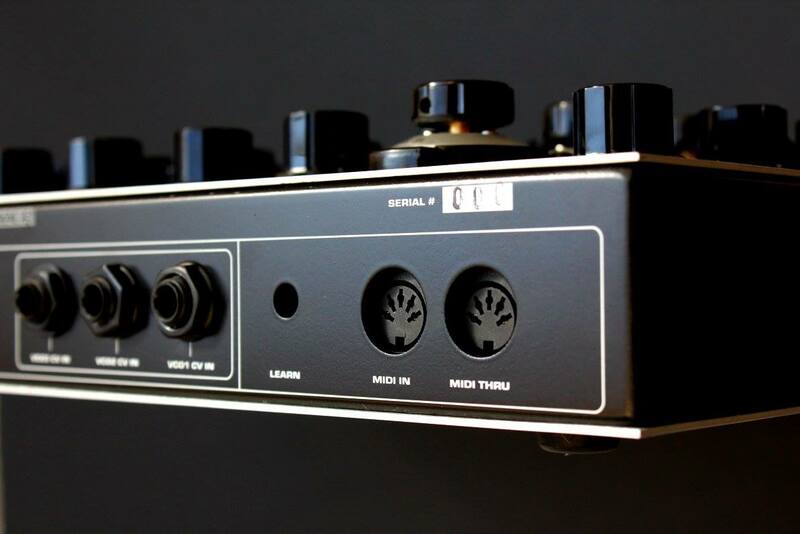 Control source via switch can be touch keyboard, MIDI or external CV/gate. 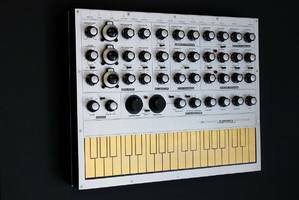 Keyboard can send 1V/octave and +12V gate signals from outputs on the rear of the unit to suitable ancillary equipment, ie, external VC synthesizer/VC synthesizer modules. Other controls: ultrabender: dynamic pitch bend + - 2 octaves either side with dead band in the centre of play. Master tune- + - ½ octave either side. global portamento- applies to all CV controls. Rear section interface: MIDI In/Thru, CV in and out, Gate in and out, VCO1 CV in, VCO2 VC in, VCO 3 CV in, VCF CV in, external audio in, synth out, power in. Dimensions: 19.2" width, 15.1" depth, 2.0" height. with detachable rubber feet: 2.15" height. 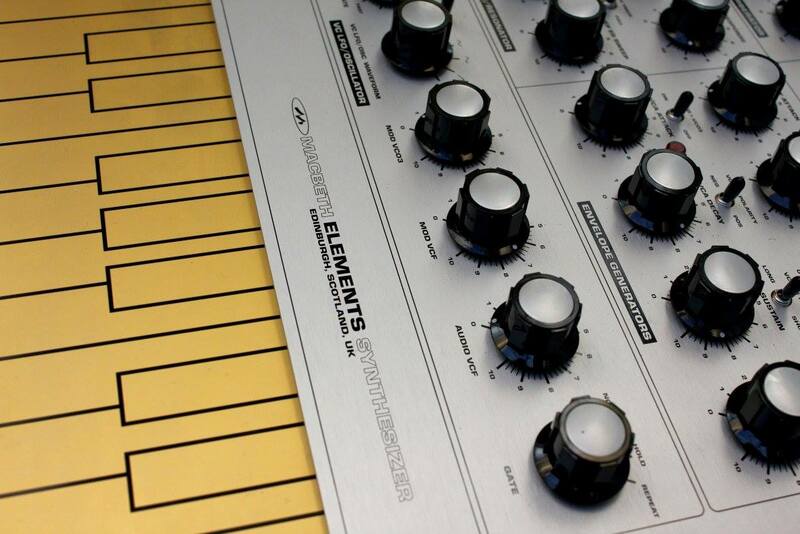 Elements is currently available for pre-order for $6 4999 at www.analoguehaven.com. 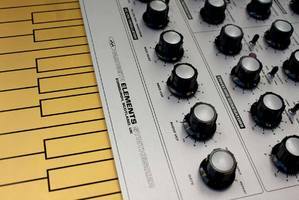 OTO introduces three new effects Bim, Bam and Boum are the three new effect modules OTO Machines will launch at the end of the year. [Musikmesse] New Yamaha PSR E443 keyboard The Yamaha PSR arranger keyboard series welcomes in 2014 the E443 little brother, which has been unveiled at Musikmesse in Frankfurt. [Musikmesse] Korg introduces the Pa300 Korg unveiled at Musikmesse 2014 the new member in the Pa arranger keyboard family. Meet the Pa300.